Hello and welcome to my blog. Today it is time for another Freshly Brewed Projects from the Latte Girls. The theme this time is the wonderful Joyous Noel Product Suite. The Joyous Noel Product Suite is amazing. 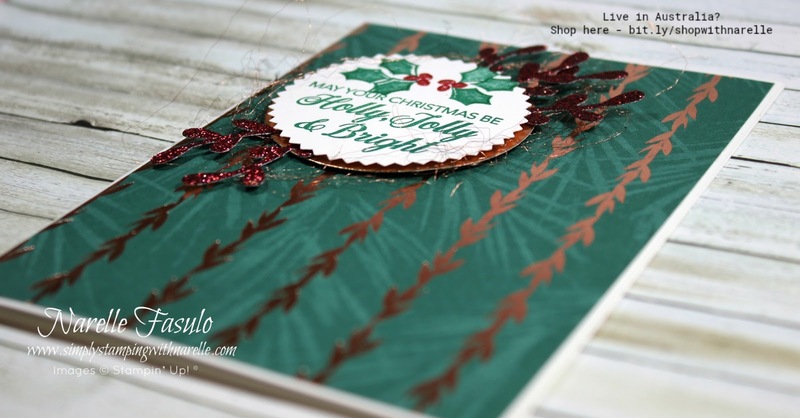 It has a wonderful stamp set and the most beautiful designer series paper. Don't believe me, see for yourself. 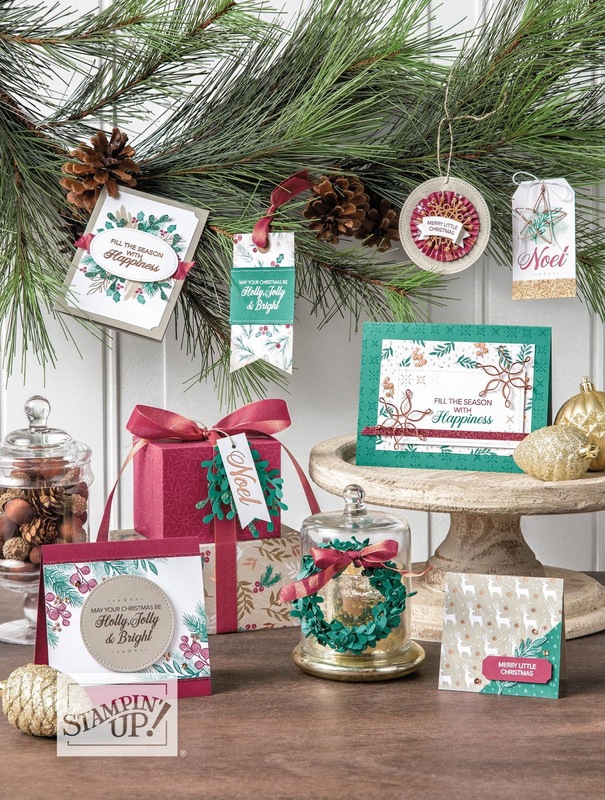 One of my favourite items from this suite is the Joyous Noel Designer Series Paper. It has the most amazing copper foiling and is truly stunning. But we must not hoard it and think we can't use it because it is to too nice. So I was on a mission for todays project, to use my favourite paper from the pack. And because this paper is just so divine, I wanted it to be the hero of the card. So a small sentiment, some punched twigs and a few small touches, the card was complete. Look at the copper foil on that paper. Divine! To purchase any of the products I have used on todays card, please see the SHOP section below. 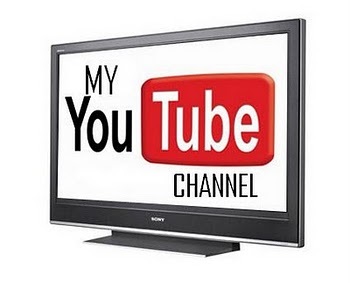 Keep up to date - join my mailing list. 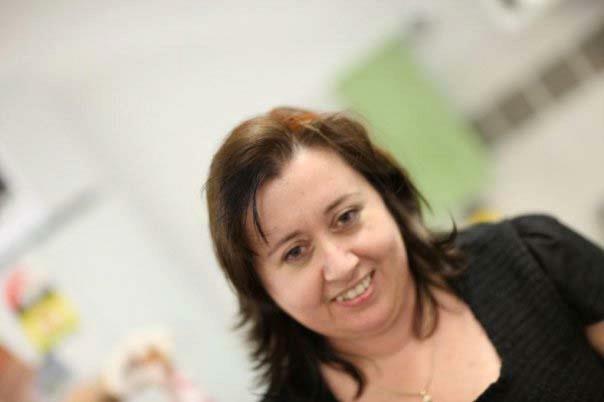 Hi I'm Narelle Fasulo. Welcome to my site. Here you will find loads of inspiration. Please pop me a note if I can help you in any way. Thanks for dropping by and have a great day. 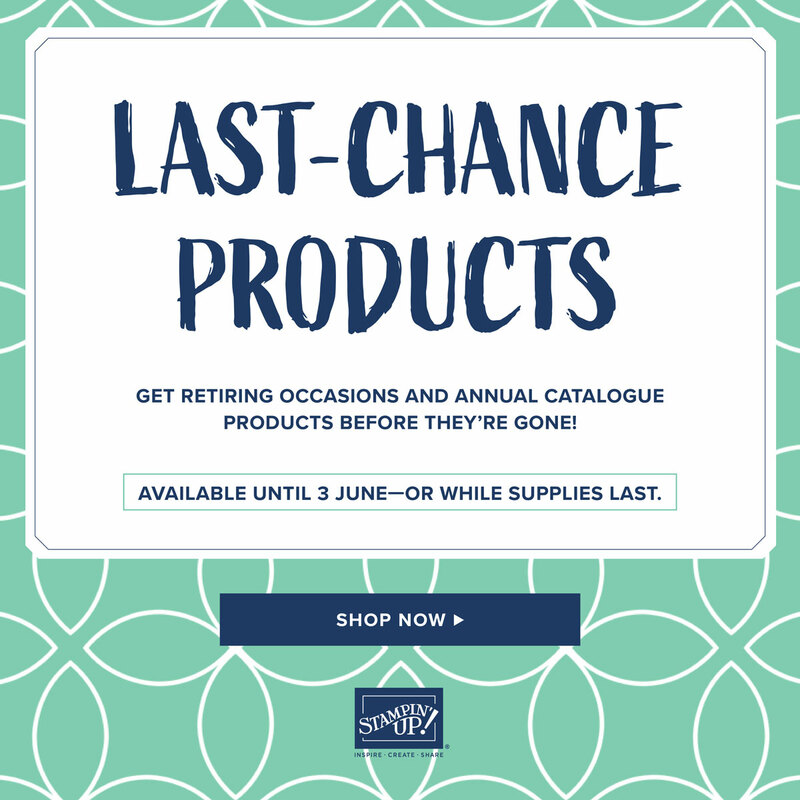 Spend between $50 and $249 on product in my online store this month, enter this code, and you will get FREE stuff. 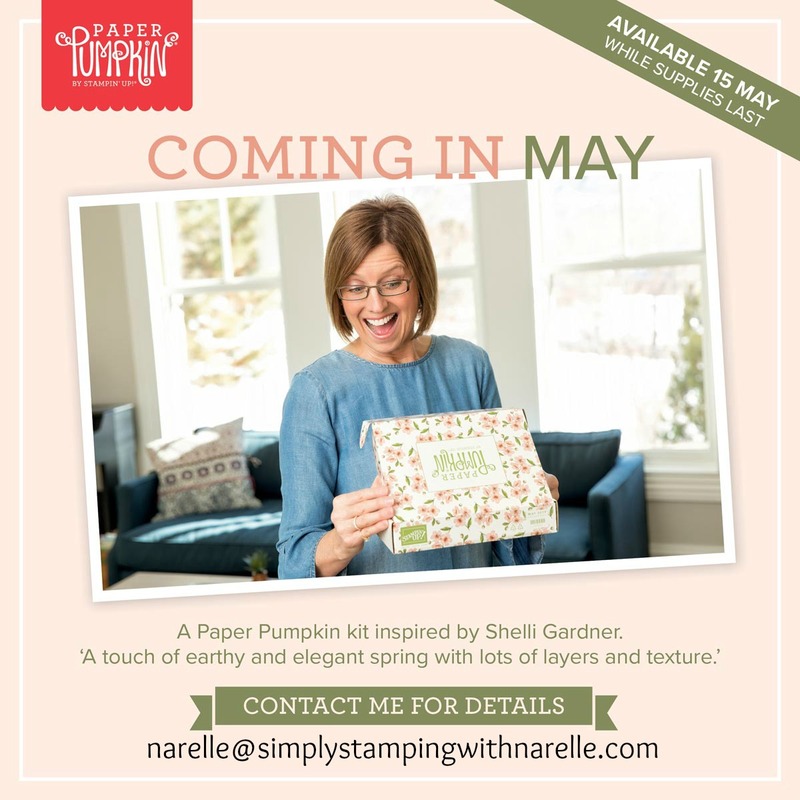 The content of this website is the sole responsibility of Narelle Fasulo, Independent Stampin' Up! Demonstrator. 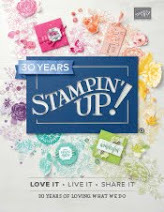 The use of and content of the classes, services, or products offered on this blog is not endorsed by Stampin' Up! Some stamped images on this page are copyright Stampin' Up! 1990-2018. Designs on this page are copyright Narelle Fasulo 2012-2018 unless otherwise attributed. All designs and tutorials are for your personal inspiration only. Thanks for understanding. I hope you find lots of inspiration here.